Gift online this Adorning Kurti by W Brand and create an extremely joyful moment for your special someone. 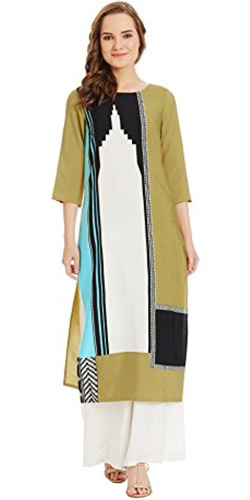 This swish Kurti is right from the house of W and is a wardrobe must have. With its sleek and mod design, this Kurti breaks all bans and gives an all new twist to boring ethnic wears.